If you're reading this, you're either planning to hit the road this Memorial Day weekend or already in traffic. The Maryland Transportation Authority recommends drivers hit the highways before 10 a.m. or after 10 p.m., so make sure you have a cup of coffee (or two) at hand. Most roadwork in the District, Virginia and Maryland was cleared to ensure an easy drive, but those traveling on Route 50 eastbound Friday afternoon weren't so lucky. Delays of approximately 20 miles were reported on Route 50 eastbound toward the Chesapeake Bay Bridge early Friday afternoon. 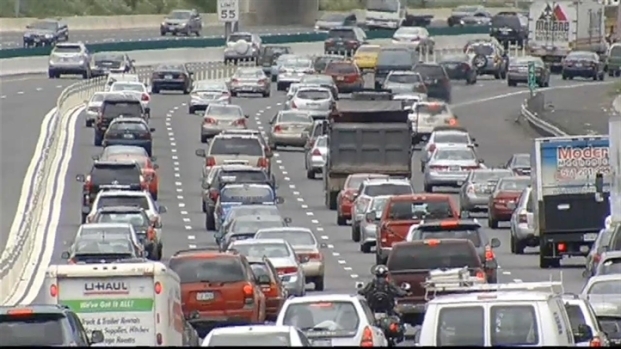 News4 transportation reporter Adam Russ talked with several drivers who are preparing to hit the road this Memorial Day weekend. Despite Friday's chilly temperatures, don't forget your sunglasses and sandals! Temperatures throughout the coast will warm up Saturday and Sunday and hover around 70 degrees. Monday will be the sunniest day, with temperatures reaching into the mid-70s throughout the region.